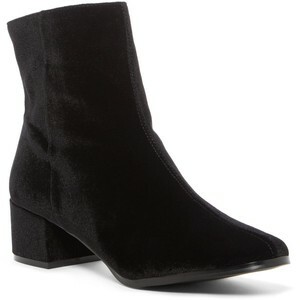 Rich leather and velvet upper with elastic side goring for easy on-and-off. 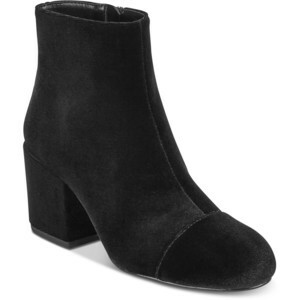 Pointed-toe silhouette and wrapped chunky heel. Lightly padded leather insole and smooth yet durable leather outsole.